To retrieve your password, click Forgot Password. A new window displays to input the email address used to create your account. 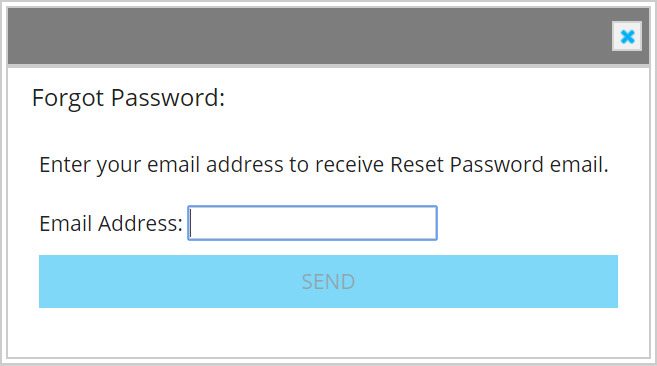 Click Send to receive an email with further instructions on how to reset your password. If you have a username instead of an mail address defined, you are able to retrieve your username via the *Forgot Username*link. Type the email address used to set up the account and then click Send to receive an email with further instructions to reset your username. Here is a short video overview regarding resetting credentials.